Sometimes, a student might want more options that the dollar menu. Luckily, Salsa Brava: Fresh Mexican Grill is an affordable, flavorful treat for hungry UCCS students. Salsa Brava has three delicious locations in the Colorado Springs area. I visited one just three miles away from campus, which, like all restaurants in the chain, sources locally grown foods and makes their menu items from scratch. Founders Liz and Randy Price opened Salsa Brava over 15 years ago. 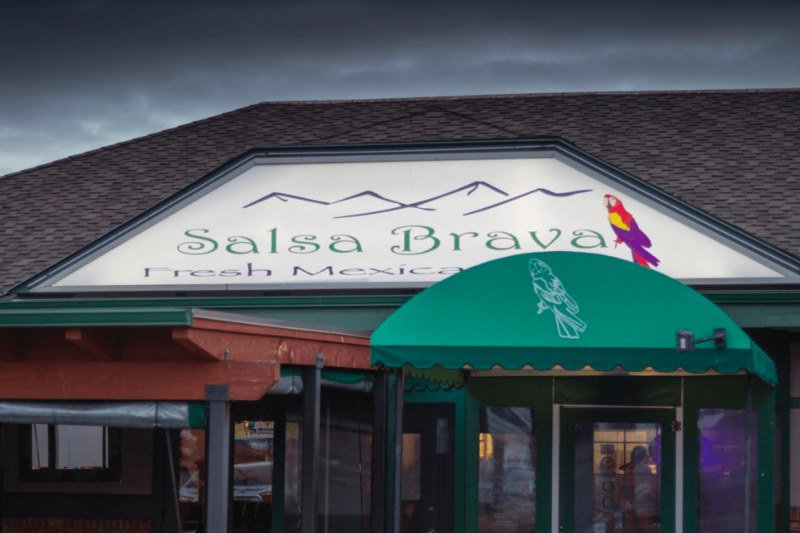 Maria Hall, manager of Salsa Brava at Village Center Drive, says that her location is one of the first Salsa Bravas in Colorado Springs. “This one was actually the very first location of any of their restaurants. Now they have 12 restaurants in total,” Hall says. Four of these 12 restaurants are Salsa Brava diners. With three in Colorado Springs and one in Highlands Ranch, there’s plenty of opportunities to visit. Not only was the restaurant successful in being tasty and affordable, but it was visually pleasing as well. 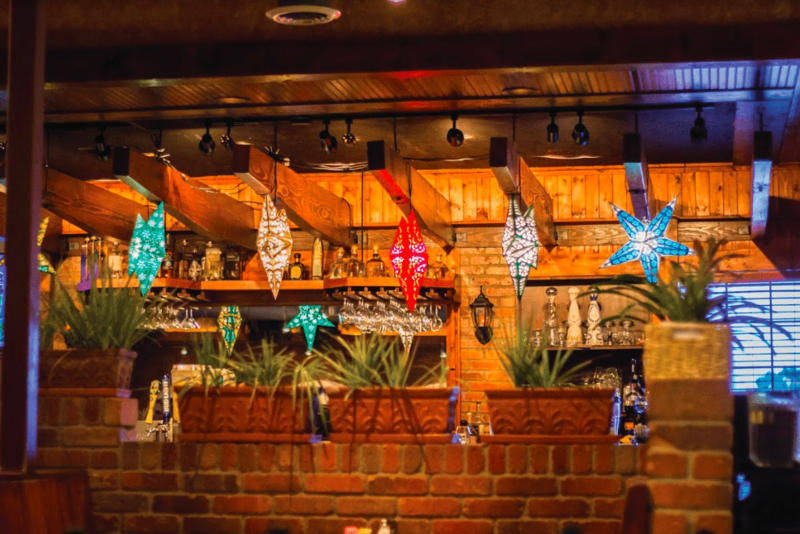 From the decor to the furnishings, the restaurant had an authentic Mexican feel. According to Hall, Price decorated most of the restaurant. “(She) wanted it to feel cozy and homey in here with the brick and the lights. I think that’s what a lot of people love about it, just the feel of the restaurant itself. A lot of the paintings want to reflect a Mexican restaurant but they also want to have a Colorado feel.,” says Hall. Starting with the colorful, categorized menu, I chose the shrimp and avocado tacos ($13.99) The tacos were beautifully plated, and the ingredients were as fresh as the restaurant boasts on their website. I found that the prices were pretty reasonable for the quality of the drinks and meals. While I did not order one, I noted that alcoholic beverages ranged from $7-$12 for those students 21 and over. “Over the years (management) has done everything possible to make sure that we have good food and good product that comes in. Everything we have we make ‘in-house,’” says Hall. I noticed the alternative dietary options Salsa Brava offered. These dietary options make it so that there is something to eat for each and every customer. This addition to the menu makes it so that more people can enjoy the authentic cuisine. 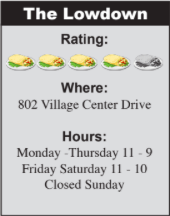 “We have incredible fresh food. It’s not just a regular traditional Mexican restaurant. We have a lot of options, (including) gluten free, vegan and paleo options. It’s easy for all kinds of people to eat here,” Hall says. For a fresh option, a quick trip to Salsa Brava can be the perfect, delicious ending to a long day.